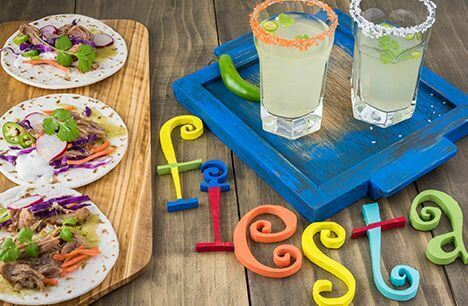 Pasta Nights, Taco Nights or BBQ Sessions! Perfect events to meet new people while listening to our resident DJs and local artists on selected dates. Travelers and locals are welcome. We have a bed for every budget! Find out about our private and shared rooms in prime locations. Meet and connect to the Tribe of Frendz. 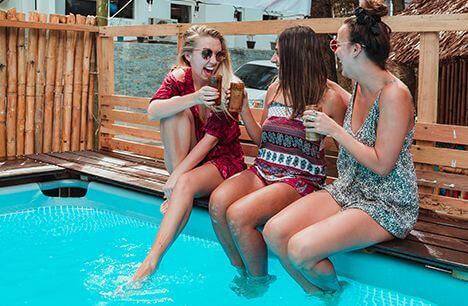 Become part of the tribe and create memories together when exploring the neighborhood and surrounding islands or simply chill at the swimming pool. Welcome to Frendz Resort & Hostel Boracay. This is where everything started. The first and original Frendz hostel in Boracay. Welcome to Frendz Hostel El Nido. We are proud to welcome everybody to our new location in El Nido, Palawan. We organize weekly island hopping tours together with you around Boracay or nearby Carabao Island. Legendary Pasta Night with live music every wednesday and sunday. Enjoy discounts at our partner diving and kitesurfing schools. Book with us for the most amazing island hopping trips in the El Nido area. Frendz Resort & Hostels has been famous for creating amazing backbacker experiences over the years. We have been voted 2018 as the best hostel in the philippines by Hostelworld based on real customer ratings. Since 2019 we have now two hostel locations. Our first and original hostel is located in Boracay Island and our second new location is now open in El Nido, Palawan. Join the Frendz-experience and let us create memorable moments for you. "This is still the best hostel in Boracay. Not too much party but also not too much quiet; just the right ambience to party and relax at the same time. Staff is there best asset. Pasta night is still the best. can't wait to visit them again soon!" "The price is very reasonable and the location is great! You stay in a 2-storey straw-like dorm of about 8 people. I like the island feel of the dorm. The bathroom is quite clean too. The staff is also quite helpful." "The location is perfect. The room, cr and over all of this place are clean. The staff were friendly and accommodating. We gained new friends in this place that ended up extending our stay... We experienced their pasta night and it was fun. Def go back to this hostel." Yes, I wanna get periodical messages from the Frendz community about promotions and updates from our locations in Boracay & El Nido.